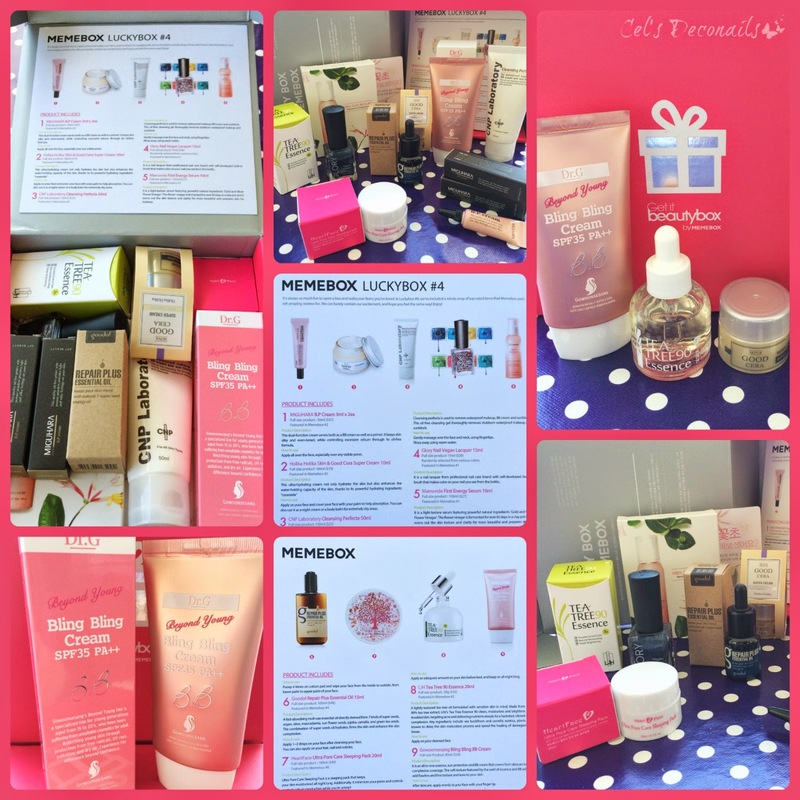 It is time for another Memebox post. Today we are going to take a look at Luckybox. 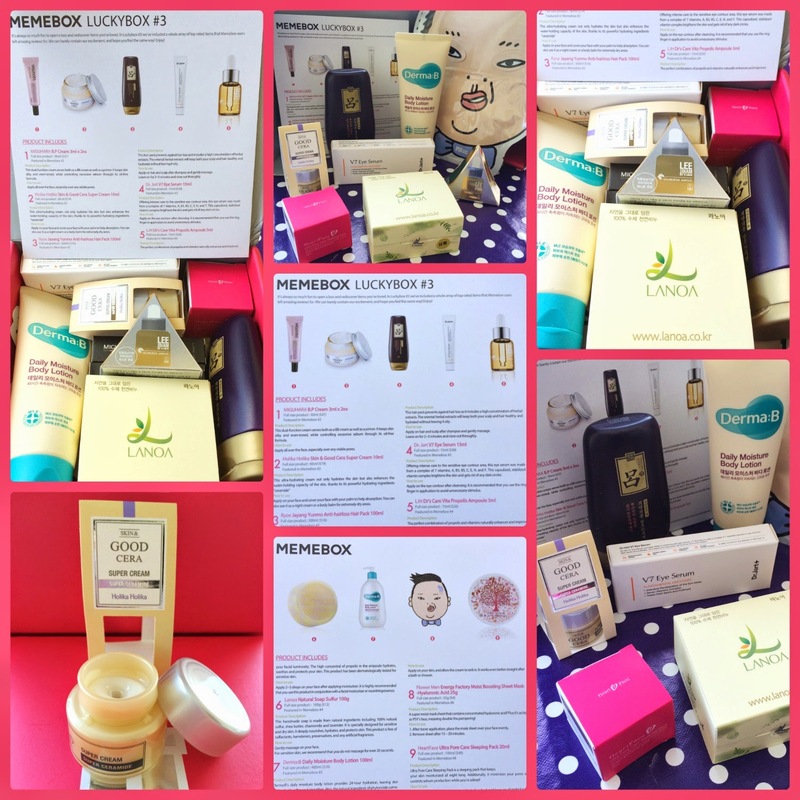 A Luckybox is full of the most popular products from previous editions of Memebox that are now sold out. 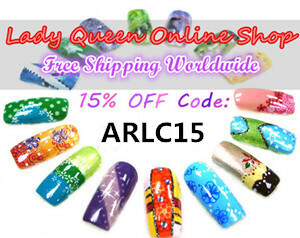 At $23.00 each, they are a very good bargain if you want to sample some Korean beauty products and don't know where to start. 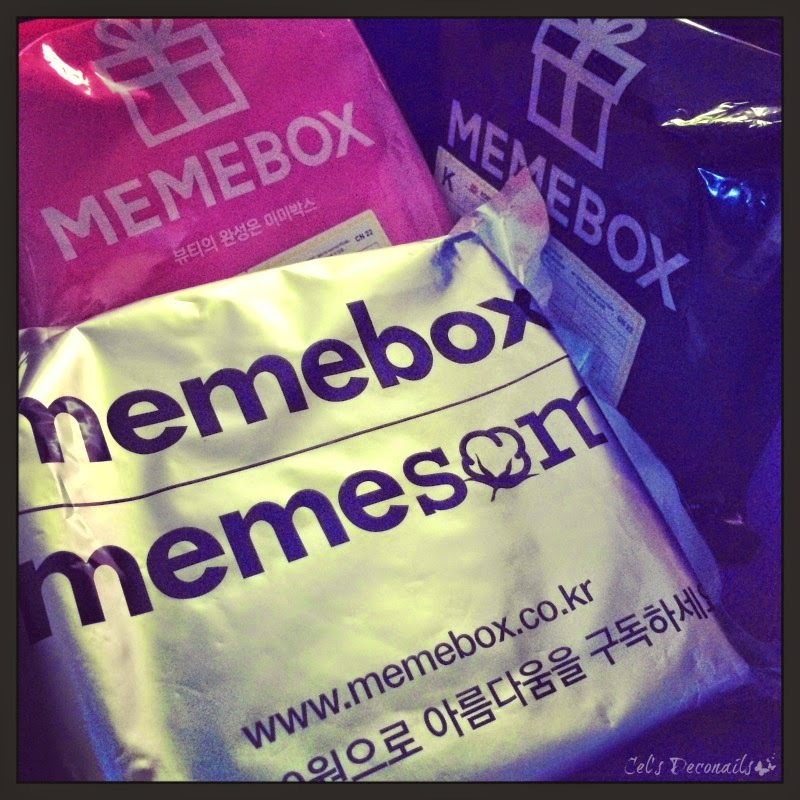 I have Luckybox 1-4 as they contained products from Memeboxes that I didn't manage to get. So buckle up dear readers, as this post is going to be a bit long. Let's take a detailed look at each box. Starting off with Luckybox #1. 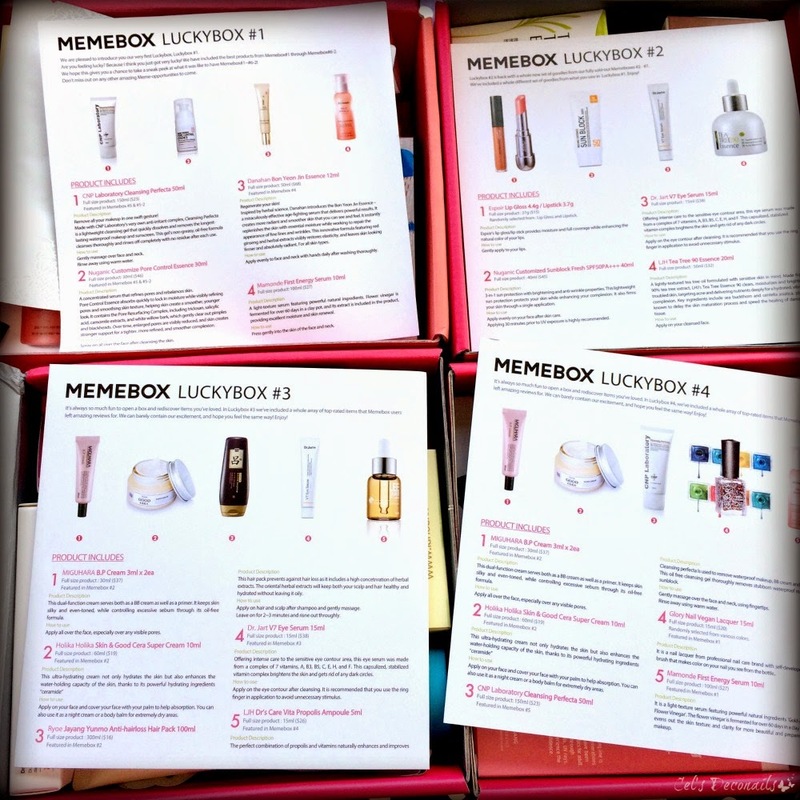 The first Luckybox to ever come out, it contains products from Memebox editions #1-#6. This Cream has received very good reviews so I was very excited when I saw it in the box. I haven't tried it yet but as soon as I finish the one I am using now, it's up next! I was very pleased with what I found inside so I ordered a couple more Luckyboxes. 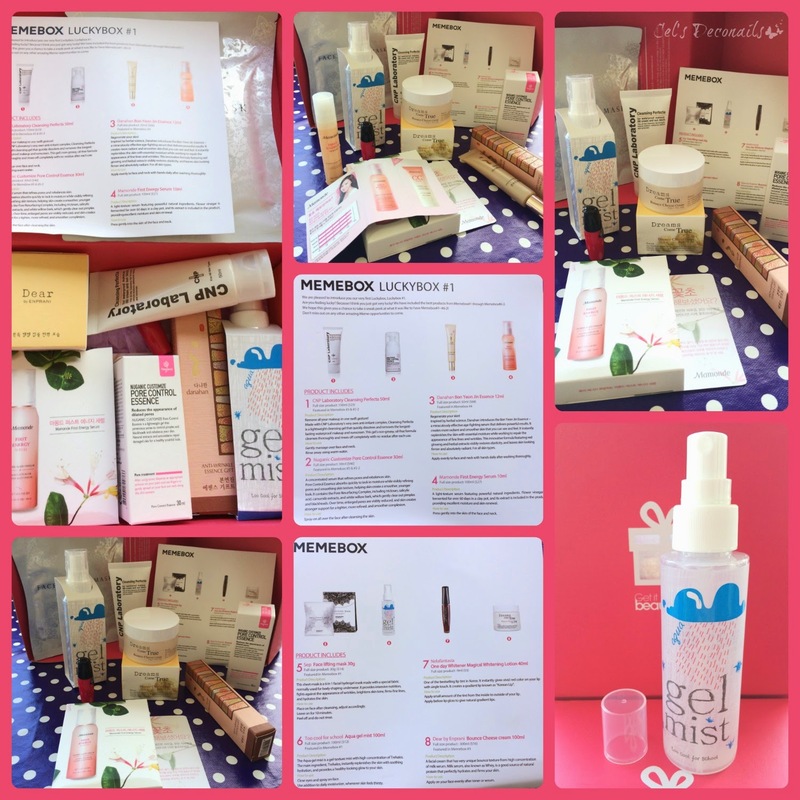 A great selection yet again, two products that I won't be using were perfect for my mum. Very pleased to find two sheet masks inside, as I love trying new ones. 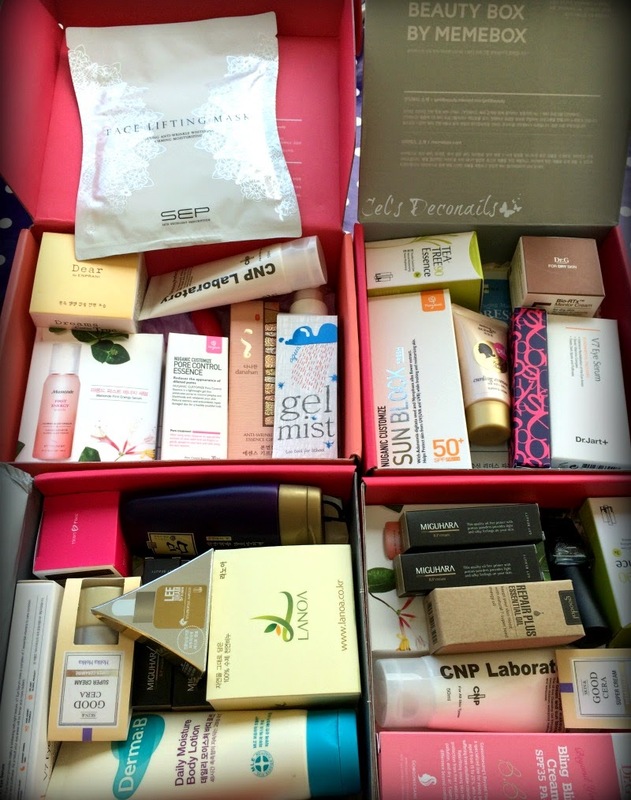 Next up, Luckybox #3 with a selection of top rated products from previous Memeboxes. I was also very pleased to find yet another Derma:B body lotion as it was my favourite Memebox #5 product. 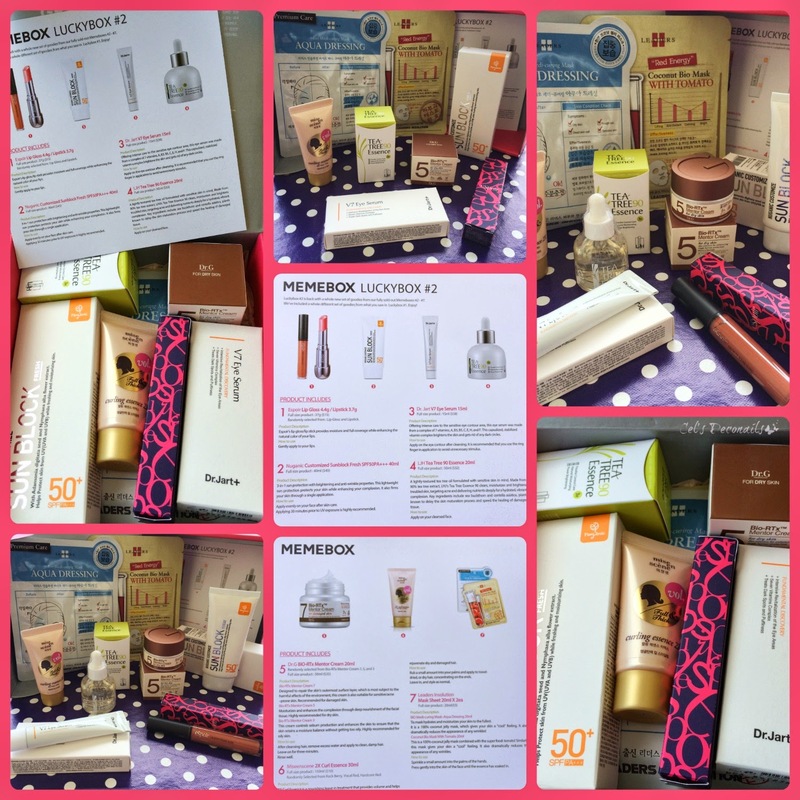 And last but not least Luckybox#4, full of customer favourites Memebox products. Many repeats in this one but they are all products I love so I am not disappointed at all. Plus yay, finally a nail polish!!! And here are my star products, one from each box. The Too Cool for School Aqua Gel Mist from Luckybox #1 because with the heat rising as summer is approaching, I will be using this a lot! From Luckybox #2 the LJH Tea Tree 90 Essence (which I also found in #4). I get breakouts from time to time and it worked very well when I tried it. Plus I love tea tree products in general. From Luckybox #3 it could be none other than the Holika Holika Good Cera cream (also a repeat in #4). It is amazing, I am using it as we speak and it works great on my skin. Very moisturising, it has a lovely subtle scent that I love and it leaves my skin feeling very hydrated (even m dry spots have disappeared). I will definitely be buying the full size as soon as my samples are used up. 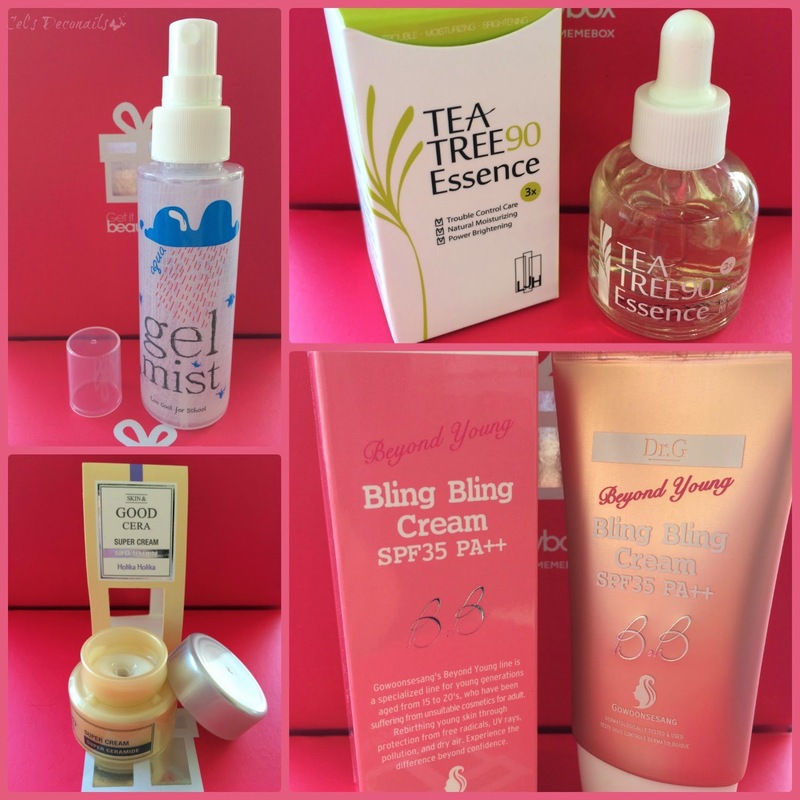 And my favourite from Luckybox #4 is the Gowoonseang Bling Bling BB Cream. Blends well with my skin, it is lightweight and I plan on using it this summer. And if you want to see what was included in Luckybox #5, head over to Elena's finds to find out. So interesting to see all the Luckyboxes together. I bought #3 and it's been great - lots of cool products to try. Ooh, what a fun haul! μας εχει καψει ολες αυτο εχω να πω μονο!hugs and kisses! Ya!It is a very good info. Thanks for sharing your post with us.Keep more update continue.